There are not many places in the world could beat this. 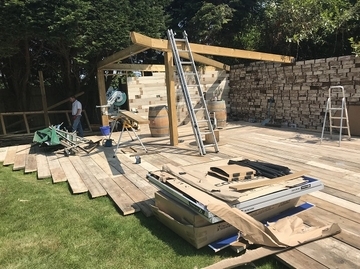 A new customer kindly allowed us access to there latest project, a huge decking and undercover area. 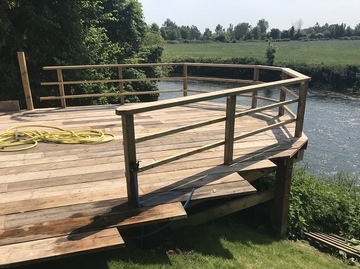 All of the used scaffold boards and cladding have been supplied by yours truly. 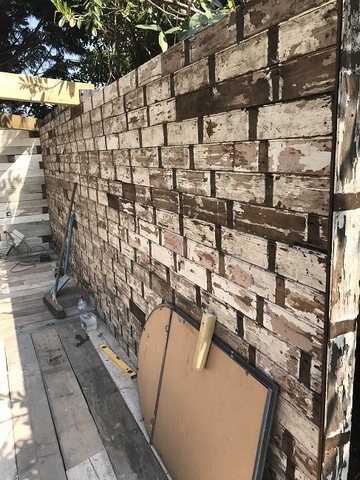 Ace Reclamation has a large stock of scaffold boards and cladding for any size project.. 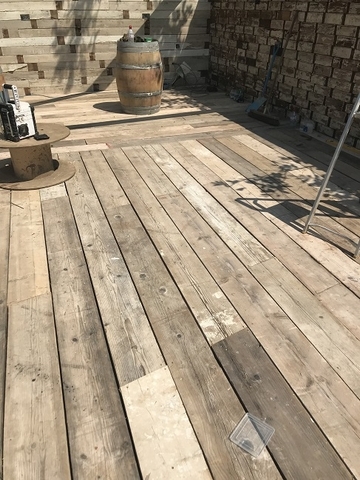 This decking area consists of over 100m2 of reclaimed scaffold boards and some 25m2 of reclaimed timber cladding, topped off by an amazing location it will be the place to party once completed.